1. Rinse chicken, trim off fat or extras and then cut into 1 inch cubes. season with salt and pepper. Dip chicken into cornstarch and coat all the way and then into eggs. Heat oil in large skillet. Cook chicken until browned. Place in baking dish. 3 chicken breasts can be in a 9×9 but 5 chicken breasts fits better in a 9×13. 1. Whisk until smooth. Then pour evenly over chicken. Turn chicken so the sauce gets on both sides and then put in the oven at 350 degrees for 15 minutes. turn chicken and then cook for 15 more minutes. 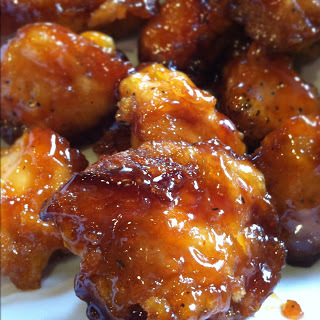 Posted on October 26, 2012, in Lady Fab Cooks and tagged Chinese Food, dinner, food, lunch, Pollo Vegetarian, recipe, sweet and sour chicken, the porter house grille. Bookmark the permalink. Leave a comment.